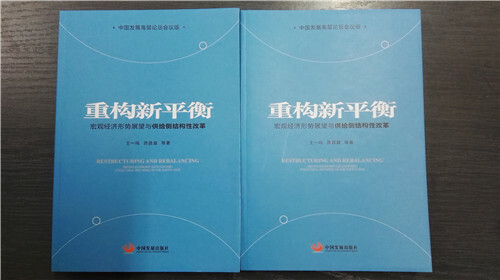 The Macroeconomic Research Team of the Development Research Center of the State Council (DRC) released a new book on supply-side reforms at the forum on 2016 Macro Economic Outlook and Structural Reforms of the China Development Forum on March 19. The new book, Restructuring and Rebalancing: Macro Economic Outlook and Structural Reforms on the Supply Side, is a collection of research reports delivered by the team in 2015. 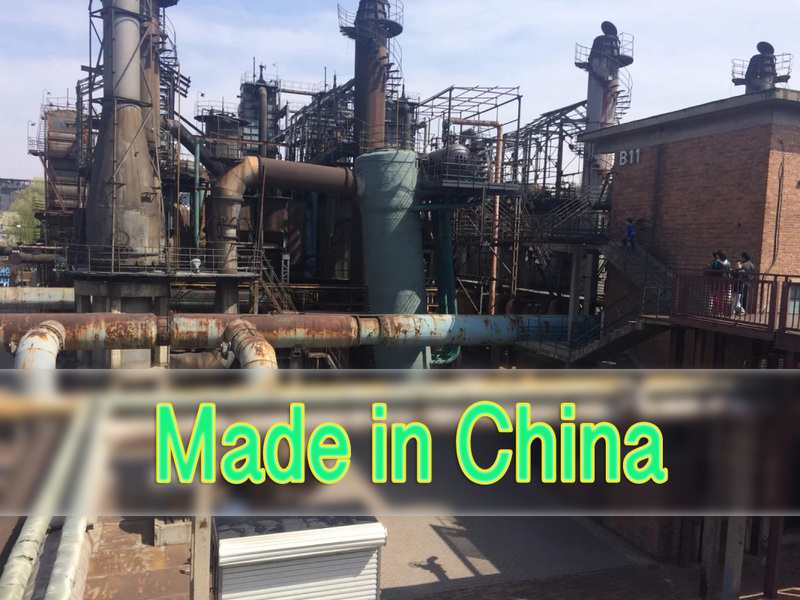 The book has three chapters---macroeconomic situation, reform of the supply front and outlook of sixteen fields. Most of them are being published for the first time. 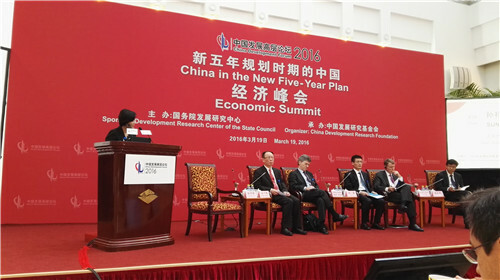 Wang Yiming, President of DRC, Professor Jeffrey Sachs, Director of the Earth Institute at Columbia University, Lu Lei, Head of Research Bureau at the People's Bank of China, Timothy Adams, President and CEO of the Institute of International Finance and Chen Changsheng, Vice-Director-General of DRC’s Department of Macroeconomic Research were present and delivered speeches on China’s macroeconomic situation, other countries’ reform experience, China’s monetary and financial policies, international economic and financial situation and reform of the supply front, respectively.